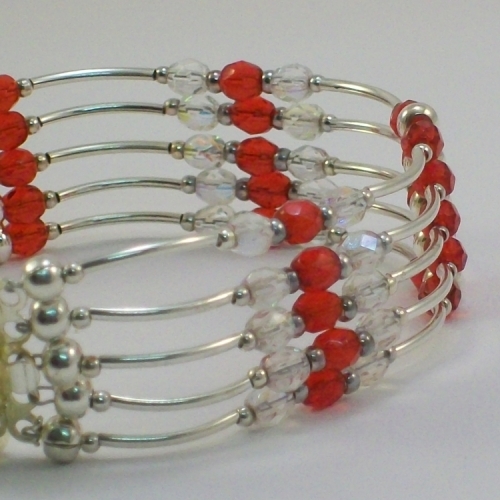 This five strand bracelet is handmade using silver plated tubes with red and clear fire polished beads. The clear beads have an AB coating giving extra shine. 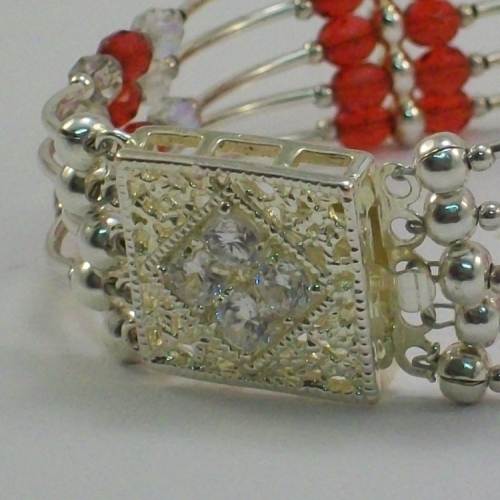 The clasp is set with clear rhinestones to ensure the bracelet catches the light from all on sides. The perfect glam accessory. 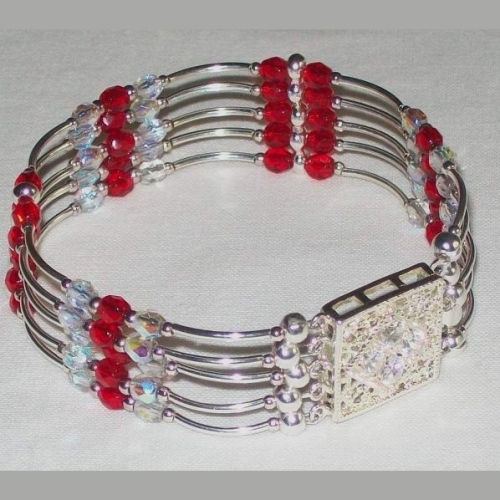 The bracelet measures 7 1/2" long and is 3/4" wide. Handmade using silver plated findings and Czech fire polished beads. Nickel free.